A small business is part of a larger picture. To best serve your community, you need to get to know it first and then get involved. The people who live and work around your business are a great resource to learn what’s important. Having a positive impact benefits not only the local area but also your small business. There are so many ways you can give back to your community and get tax write-offs at the same time. Monthly volunteer project. Whether you get involved in the same project each month or a different one, being hands-on is great exposure for your business. Get your team on board and ask them for ideas about the volunteer projects that energize them. It is a great team building opportunity. Fundraise. You and your employees can choose a local cause or charity that needs financial help and then come up with a fundraiser such as a luncheon, yard sale or silent auction to raise money for that group. Donate. You can donate money or goods to various organizations. Employees and community members can drop off items during a specified timeframe, or you can ask for monetary donations instead of physical items. 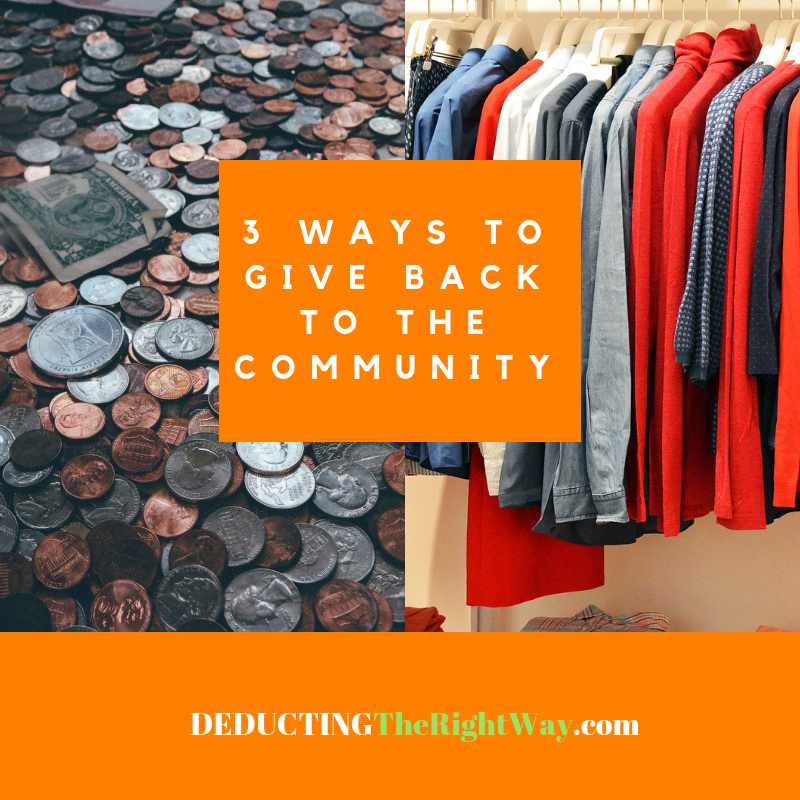 Challenge yourself to come up with unique ways you and your business can give back to your community. TIP: The out-of-pocket costs you pay to engage in these activities may be tax deductible.